Some may say Westlife is no more special than a bunch of handsome lads. Others may argue their songs are too shallow to sign one’s low taste in music. But numbers say it all. The boyband has 14 number 1 singles in U.K chart. They sell about 44 million copies worldwide. They have held together for 14 years, one of the longest boybands could ever make so far. By the mid of this year, they are going to call it quit. 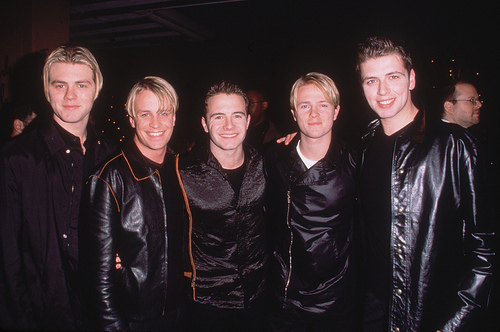 I am completely sad and will surely miss quartet of Shane Filan-Mark Feehily-Kian Egan-Nicky Bryne. But as 2012 is the year of going forward, let’s enjoy what those amazing men will make in years after they are no longer together. I am myself crossing my fingers for the first album of Shane Filan due the end of this year. I never thought it would hurt me this much. I know the day is coming but not this fast. Not even after I watched their concert in Jakarta just a few weeks ago. I still feel like flying over the moon each time I recall the unforgettable moment. But this morning I and millions of Westlife fans across the world may share the same thing: so deeply absorbed in a sadness that tears hardly run down from our eyes. After 14 years together, the Irish pop sensation finally calls it a quit. Shane Filan, Kian Egan, Nicky Bryne, and Mark Feehily choose to go on their own separate ways. I find out in Twitter that they actually agreed to split up three months ago. That means the decision is concluded before they embark on Gravity Tour in Asia. It’s like a thunder in a very sunny day. I am so much shocked once I open Westlife official fans page in Facebook. At first, I disbelieve the news. But then I check the boyband’s website that confirms the saddest entertainment news ever for me. Still stubborn, I open the band’s members official Twitter accounts. I am a bit relieved since they have yet to post anything in regards with the news. But then I google about it and see a bunch of news, mostly from UK and Ireland-based media. I keep opening Twitter with “Westlife” as the hashtag. Thousands of fans cry due to the information and send massive reactions for the boys but no response so far. 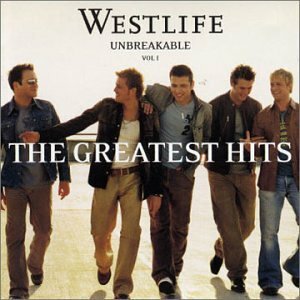 I myself emotionally share with hundreds of Westlife fans in Indonesia. We are all so devastated. Shortly, many Westlife fans in Indonesia tweet some promotors and beg them to bring the boyband for the last time next year when they officially leave their lovable fans. I spend most of the day by wishing upon the stars that it is just a hoax. But tweets from the wives of the members implicitly tell me that my dream need miracles to make it happen. They say thank you for all Westlife fans who support their husbands in the past 14 years. So sad but time has changed. This piece of crap may sound so trivial but I can’t help my heart is falling into pieces knowing I will no longer be able to listen to their new songs and sing along with them during shows. I miss them already so much. Their break-up leaves a kind of small hole in my heart I do not who and when it will be a whole again. I just realize that they are my sole idol who have inspired me to put so much love into English language. Their songs make me to get everything right at the beginning before I choose then pursue my career in related with the subject that brings so many happiness in my life. So, the sweetest memory from my teenage period are waving their hands at me. It’s so hard to believe. Even one million words will never be able to tell how miserable I am. Music is no longer a mean to escape from stress and pressure without them. I know I will get over this and let them go sooner or later. Whatever venture each of them will take, my support is and has always been for them. At the time being, however, this is just too hard to bear. I admit I “abandon” them for a few years and start listening to new singers and bands but I never fail to notice their amazing songs. In these past few months my love is growing so much stronger thanks to Twitter. Reading their tweets and looking at their pictures make them look like normal human beings, far from arrogance. Their attitudes during the show proves me that they indeed love their fans. Lately, I love watching their kids on the stage: Nicole, Shane Peter Junior, Patrick, Rocco, and Jay. From the clips, I am amazed to know that Shane and Nicky are kind fathers, just like any others. It’s obviously seen from their interactions with their children. 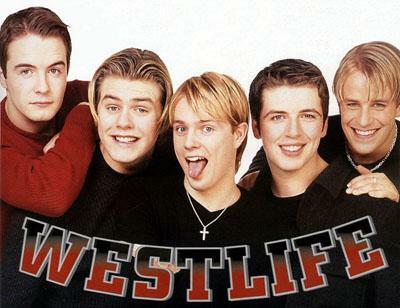 Dear Alloh swt, thank you so much for Westlife. This is just too painful. Such a hard day. And may be long time ahead to fully accept everything. I strongly hope they will drop by in Jakarta for the Greatest Hits Tour as their latest farewell concert. Ok, better leave the note at this point. 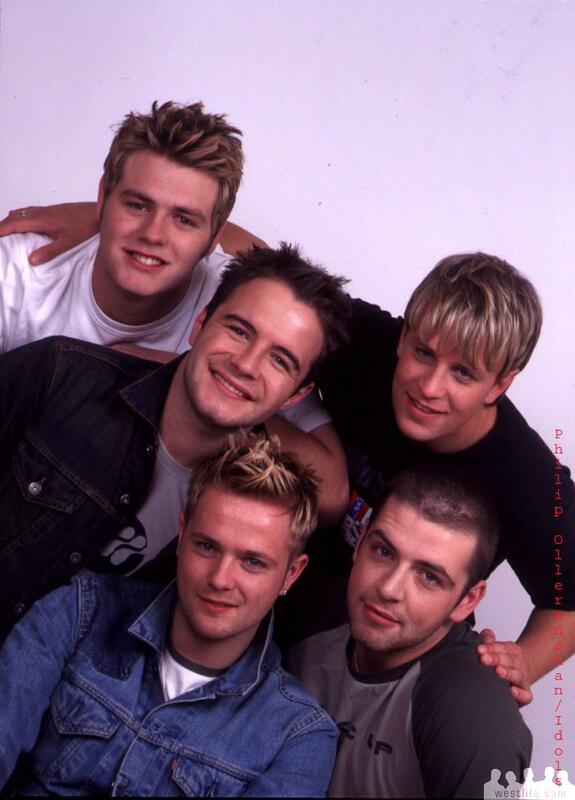 You and me here together ………………..”Westlife’s No One’s Gonna Sleep Tonight”. Four days passed while I was writing this piece of story. Endless echoes, colorful lightnings, powerful sound system, crazy crowd, and definitely angelic voices from four faces of Westlife still linger on my mind. Thoughtful lyrics from Safe keep ringing in my ears. I still can’t believe I was part of thousand of people who enjoyed the two hours show at Tennis Indoor, Senayan, on Wednesday. A day before the show I lost my focus on work. I came to the office at noon because I had to exchange a voucher for a tribune 1 class concert ticket on Tuesday. I arrived at Raja Karcis ticket office at about 9.30a.m. The queue was already long. I was at the 120th. Although I had yet to feel really excited about the concert, I could not concentrate well by the time I was at my desk. I kept on thinking “would I really watch the show?”. The much-awaited day finally came. Like what happened a day before, I wasted four hours browsing for Westlife instead of working. Sorry a lot boss. Now the ambiance took over everything that I made use my working times for fun. At 12 o’clock I stopped working. I took a bath for the second time in just five hours! I chose the best dress that I have and not to forget a camera that has been fully charged few days before. Oh my God! I have been 27 years old but felt like a 17-year old girl at that day. The boys made me feel so much younger and alive. The show was still six hours away when I hit the road at 2 p.m. I went to Education to USA, part of AMINEF’s office, to get a TOEFL certificate. Traffic was already crazy at Jalan Sudirman. Thankfully, a Transjakarta bus helped me a lot. Although I had to stand during the short bus trip, I reached Senayan area in just 15 minutes. Of course, I did not go directly to the concert. That was still at 3 p.m. instead, I went to one of the most fave places in the city: Kinokuniya bookstore! And damn! At first glances, I did not discover interesting books at the front bookshelf rows till I moved backward and smiled widely upon reading some great titles: The Circle of Reason, Calcutta Chromosome, The Hungry Tide, and The Shadow Lines. Those are books that I have been searching ever since I finished reading amazing books by Indian author Amitav Ghosh called The Glass Palace and Sea of Poppies. I faced a great dillema at that time: I really wanted to buy all those books, or at least one. But looking at the price, all I had to do was reading few pages quickly then just leaving the site. Fortunately, my focus about the concert saved me from spending so much money on those books. I could put my desire for buying the books on a hold. Initially, I would have planned to go to the concert venue at 6 p.m, and changed my mind for some unknown reasons. The location between Kinokuniya store and Tennis Indoor is just some meters away so I preferred to walk. The sky was a bit cloudy and the traffic was smooth. I guessed the concert would be fine as well. Not so many cars and still few people were seen at 4.30 p.m. I sat and captured some pictures. Few minutes after that, the crowd started to be crazy. I stood up once I heard some girls shouted. I did not why they did that. I joined the queue finally although I knew the concert was still far away though it was getting closer. Just when the gate was about to open, I was pushed from behind. I started to get panic. There was no way I would get hurt because of the boyband. That would be ridiculous! After the gate was opened, I and others ran fast to line up for tickets checkings. The organizer of the concert divided spectators based on classes: tribune 2, tribune 1, and festival. I joined dozens of girls at the tribune 1 class. For about one hour or so, we and those at other classes stood and had small chats. Thankfully, one of the major sponsor held a question session for their loyal customers who bought the ticket concerts. The host of the show was so funny that I could not stop laughing. Thanks buddy! You made me forgetting that I was suffering in that long queue. At 6.30 p.m, the tickets checkings began. Few from tribune 1 class were so lucky to enter the venue first. Everything looked smooth at the beginning until those at the tribune 2 class began impatient to get in the site. I did not know how that happened but a strong pushing started. They pushed forward to some security guards and could not wait to get their tickets scanned. That was how the mess was kicked off! I and other from the tribune 1 class stood up while gazing our eyes at the mess. Not long after that crazy scene occured at the tribune 2 class, those at the festival class started shouting, too. I did not know if they did do any pushings because officers at the tribune 1 class started scanning our tickets. I saluted the girls at my class because they lined up patiently while waiting to go through all of the processes. I got a seat at the third row. I intentionally chose at the upper row to get a clearer view. One hour away from the big show and I already felt the hysteria. As minutes were passing, more and more people coming in and filling all the empty seats. Surprisingly, a lot of seats at tribune 2 class looked empty despite the fact I failed to get the ticket of the class as they were sold out in just one day. From where I sat, the crowd at the festival class was getting larger in a short time. I noticed many men did come to the concert. So it was a bit equal between women and men in the most expensive class. Thirty minutes before the concert began, I went to the toilet! Just look at the long queue! I can not count how many times I had to line up for the sake of the boys! Did I mention I meet soap opera star Zaskia Adia Mecca while waiting for the toilet? The show featuring local boy band began when I was at the toilet. The crowd, especially at the festival class, was so full. Loud cheer filled up the venue when I sat back at the point where I had secured. The opening act was okay. Probably, the viewers loved them when performing medley from other boybands Backstreet Boys and New Kids On The Block. The night was a nostalgia for all of us. 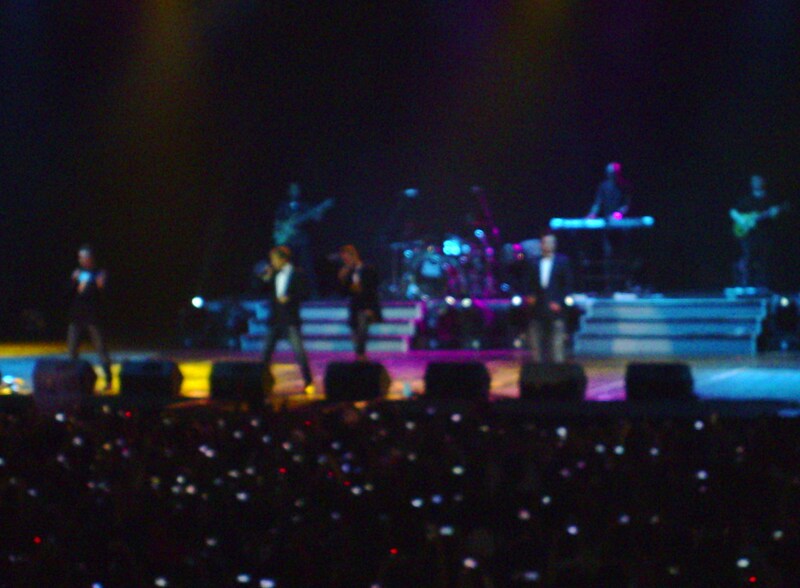 The opening act was done but Westlife did not straightly come up. Through transparent closed curtain we could see few crews checked light and sound system. I was getting so impatient. Would they really sing anyway??? I was tired in holding my camera while waiting for their first glimpses. The curtain was suddenly lifted and upbeat song was heard. 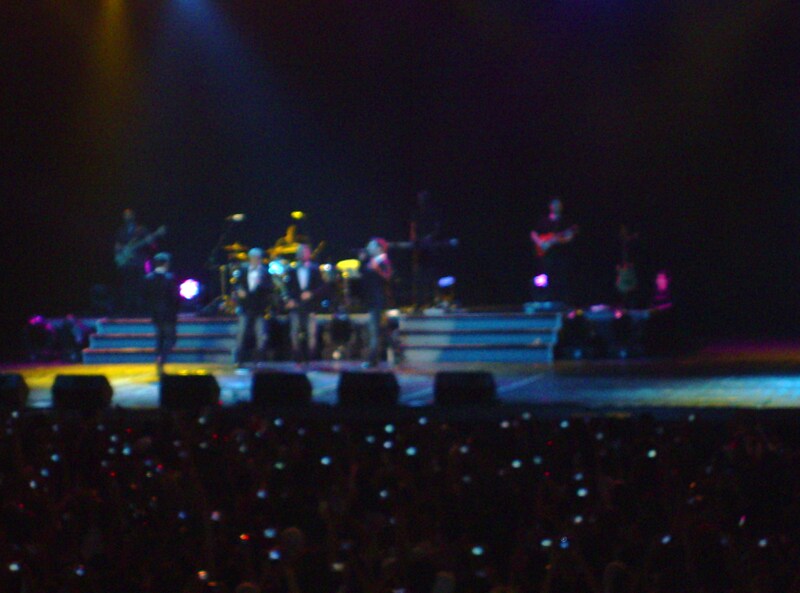 Four men dressed up in long black blazer, ties, and white shirts started singing and dancing all around the stage. When You’re Looking Like That opened the show. A louder shot was heard. People started to sing along with the Irish guys. I stood up as well and was a bit busy in catching their pictures. After that, I danced and sang out loud. Just one song. And I was sweating already! The song was so perfect to heat us up! Two songs in a row put us in a much more hysteria: World Of Our Own and What Makes A Man. 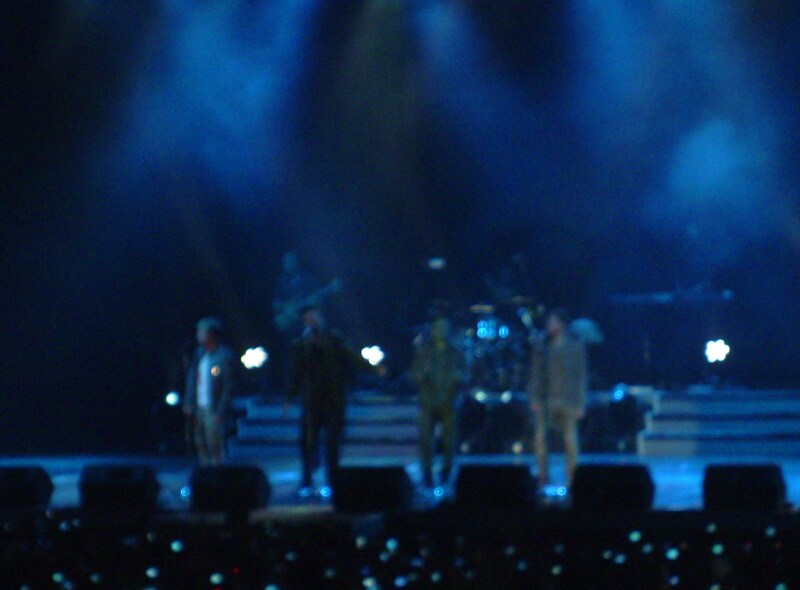 I still could not believe I eventually listened to their own voices and met them though from far. I wish the clock could stand still. In a bit different music version in World Of Our Own, the boys who were no longer young kept dancing in some simple movements, and the crowd was getting so unbearable. Since the very beginning, Shane and Mark gave gestures asking fans in the floor to move backward. At first I thought that was just a trivial thing to do since I did not see anything dangerous was happening there. But as they stopped singing after performing Safe and Home that I felt something really bad was going on. Even some members of the organizer came up to the stage and begged fans to move backwards or even moved to the tribune 1 or 2 classes. From the big screen, I was shocked to know few girls were rushed out of the venue. I sat silent. I was anxious that they did really stop the show since Shane said they would not perform anymore if local security said no. He then asked for the fans to move to the empty seats. 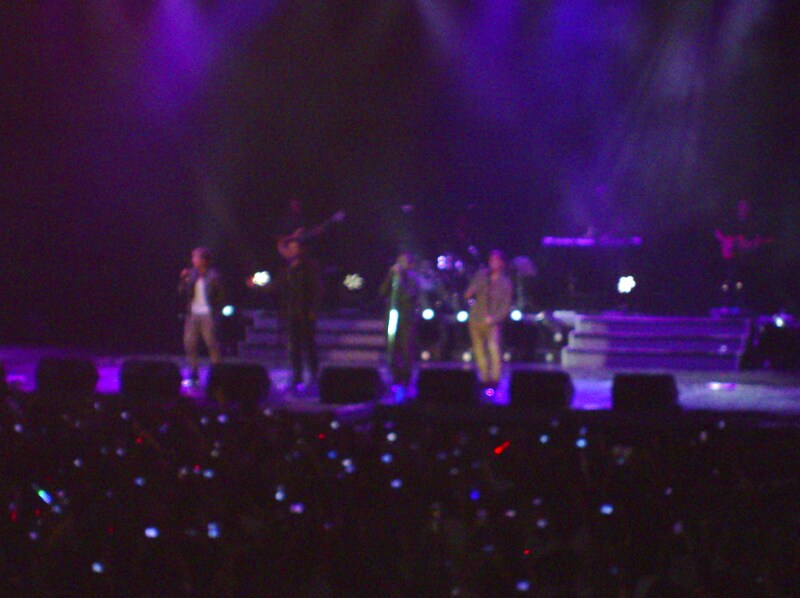 To calm the situation down, crews from Westlife gave bottles of mineral water to the audiences. Thirty minutes later, the guys emerged to the stage. Nicky said the next song was a trial one. If it went well they would proceed the concert. But they would stop singing shortly should the pushings continue. A soft music of My Love hit the venue. I actually really like the song but did not want to sing it loudly due to a fear that would be the last song of the night. The crowd looked much more relaxed. Smiles from Shane and Nicky made me relieved before the song ended. The show indeed went on again. Some hits from previous albums — Seasons In The Sun and I’m Already There — were able to put me to get back on the show. I enjoyed the concert again, much more than before the mess. An interesting introduction from Kian before singing You Raise Me Up amazed me in a way they do love Indonesian fans so much. He said the song was for us who brought them to where they were now. Somehow, the song look so special for me now. Undoubtedly, the most incredible moment of the show occured when the guys was about to perform Flying Without Wings. They said the song had a special place in our hearts. And that was absolutely correct. So, best part of the show was singing along Flying Without Wings while waving our hands for them. I was speechless! Being able to sing one of the songs with deepest lyrics with Shane was beyond words. It was just splendid! I believed I was not the only one who felt that. The audiences sang it together from the beginning till the end. WOW!!! The following songs — I Will Reach You, What About Now, and Uptown Girl — received enthusiastic responses. Uptown Girl became the last song that closed such wonderful night. All in all, I was so satisfied and thankful for the very rare moment. Despite the mess and less number of songs they performed, I got the best quality of all. That night answered my own questions on whether they could give out their best voices during live concert or not. Now, if someone said Westlife only sold their cute faces instead of voices, I would strongly suggest he or she to watch the concert by himself or herself before judging. And don’t blame me if he or she wants to see it again and again. 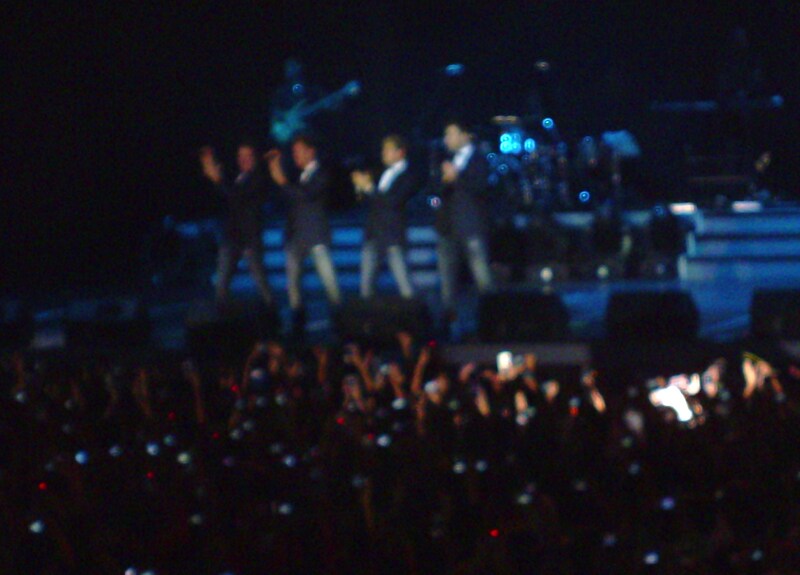 Thank you so much Westlife for the concert and all your songs. You guys make my life so much beautiful for the past 12 years. I will always pray that you will get strong and stronger as ever and hold the fifth, sixth, seventh concerts in one of your most favorite places in the world: Indonesia! (They did say that via Twitter). To Allah swt, thank you so much for keeping the best for me, as always. I look forward for just another best things in my life…. October 5, 2011 is one of the much-awaited dates in my life. Yes! 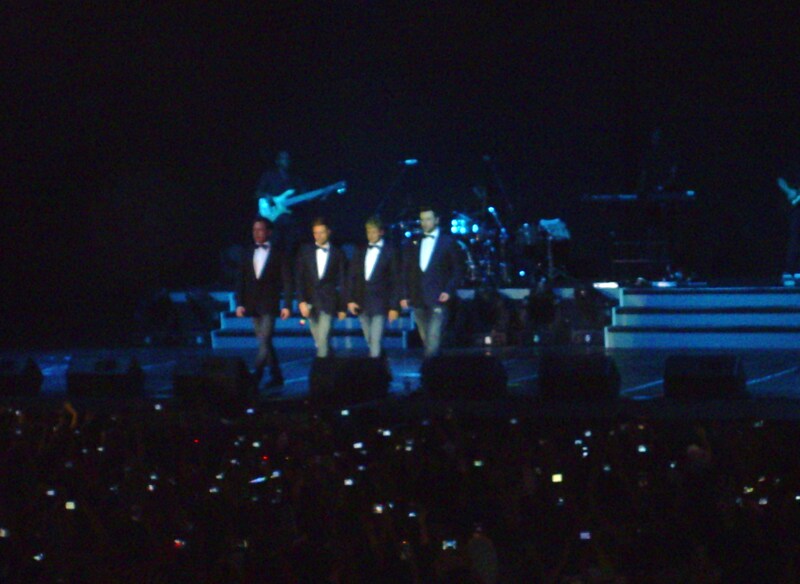 Westlife is scheduled to hold their fourth concert in Jakarta. It’s like a mini dream comes true. I have been dreaming to watch the Irish boys live in the city. Too long have I kept that personal wish that I sometimes forget I have ever had that kind of silly hope. The year is 1999. That was one of the crucial years in my school days since I was about to have final exams for junior high school. In between serious days on studying, I happened to listen to “Swear It Again” from one of my favorite radio stations in Surakarta city. I fell for the song once I listened to it. The name of Westlife crossed my mind not long after that. It was from the song called “If I Let You Go” that I admitted they were indeed very tempting. From that, I became part of millions of girls who were madly in love with the boys. So gradually, I listened to more and more of their songs. “Flying Without Wings” was not on my fave list (but it is now). I became so much in love with them thanks to “Fool Again” although I heard rumors that accused the band from copying similar song from U.K’s Take That. I dont care though! I started buying Westlife’s first album. I could not stop listening to their songs; all tracks are amazing. Even unpopular ones like “Try Again”, “What I Want Is What I’ve Got,” and “I Miss You” were incredible for me. I wholly enjoyed what they sang even if I didnt really get into what they said. Later did I know on the meanings of the songs, which are quite deep. After buying the first album, I purchased their posters, magazines that contained their news even only for few pages. I cut their pictures then stick them in the walls of my bedroom. When the news on their first concert in 2000 reached Indonesia, I was so excited yet sad because I knew I was not going to make it. Apart from not having enough money to buy a ticket, I did not have any guts to travel all they way from Karanganyar to Jakarta, which looked like a deadly city for me ( I heard so many unwelcome stories about Jakarta from my neighbors). On the day when they held the concert in the city, I quickly grabbed for teenage magazine and tabloids to satisty my curiosity on how enthusiastic Jakartans in welcoming the boys. I spent most of my pocket money just to buy those papers. It did not stop there. A couple of days after the concert, I forced my dad to drive me to Surakarta, which is 30 minutes from my home, to seek Kawanku’s special edition on Westlife’s concert. But to no avail. We circled the city from newstand to newstand but empty-handed. The special editions were sold out! I was so devastated. In order not to get loose from the boys, I stay turned every Friday afternoon in a special programs dedicated for boyband lovers like me. In early 2000s, boybands were so powerful that the radio set aside one-hour program to feed their fans’ minds. I even wrote two letters to the hosts of the program who later sent replied letters to my school. I was so embarrased but joyful when one of classmates gave the replied letter to me, along with the poster of the program. Oh my… What a dummy moment! In 2002, I still clearly remembered their popularity was replaced by Meteor Garden. Most girls turned to the casts and left boybands. I remained faithful with the band. I kept on buying their second and third album. To my surprise, I did not follow much on the lyrics in those albums. All songs were good but they were too “adult’ for me to absorb. The music was much more complicated, not as easy-listening as that in the first album. 2002 marked an on-off period between me and the band. I was busy with my college and new music taste. I began to love The Corrs, Celine Dion, and Kelly Clarkson. I unintentionally turned a bit away from the boybands. Thus, I did not feel sad when Brian McFadden, one of the Westlife’s personnels, decided to leave the band and went on solo. Even when Mark Feehily, another member, admitted he was a guy, I felt okay though was shocked. I thought the band was going to split up since I know how influential Brian was, but Westlife was going strong. Although I acted like I did not care, I was very happy in knowing they kept on releasing more albums until now. I was completely at loss when Westlife produced recycled songs from Frank Sinatra. I hated a bit when they did so because I dislike jazz. 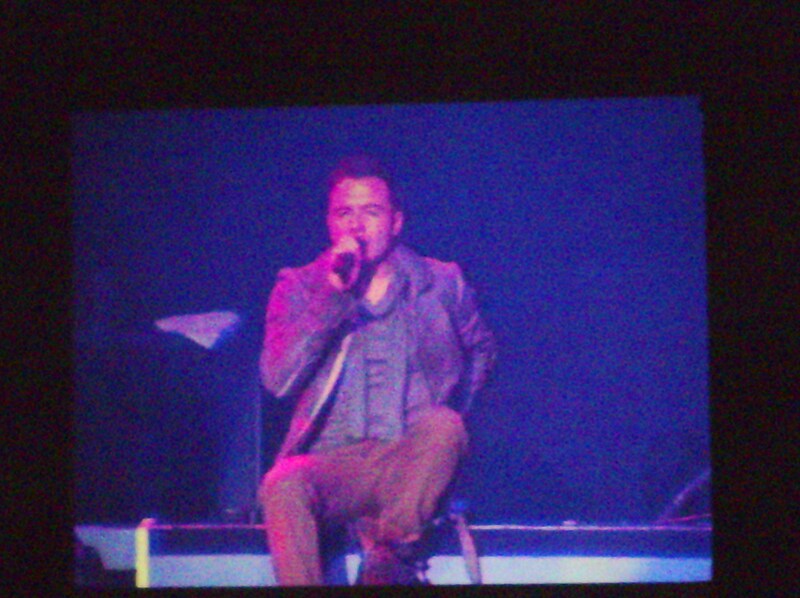 But still, Shane Filan’s voice has always been succesful in blowing my mind away even when he sings jazz songs. Of all aforementioned admiration and love toward the band, I, and maybe other Westlifers might share one common dislike. I sometimes hate the way Westlife love singing recycled songs. I did not mind when they decided to include “I Have A Dream” and “Seasons In The Sun in their first album, since they were old songs. But when they put “Home” or “You Raise Me Up”, which are quite new, in their albums, I could not deny that I started to think they are not creative. But once “Amazing” and “Obvious” hit the air, I stopped to put forward recycled songs than their remarkable achievements. They sell 44 million records worldwide. They have million of fans, including faithful lovers in Jakarta. Above all else, they remain together since they have met under Westside in 1998. Their music is so much mature now. When I knew they would meet their fans for the fourth time, I thought there were only few fans who would stand in line for concert tickets. Justin Bieber, Maroon 5, or the Jonas Brother must have surpassed Westlife’s fame. Would there be people who were going to spend thousand of rupiah for buying concert tickets just I was going to do? I was completely wrong. All tickets for tribune 2 class, which is sold at Rp 600,000 each excluding tax, was sold out in just one day. I was forced to spend Rp 675,000 for a tribune 1 class ticket, excluding tax. At first, I thought I did something crazy by spending too much money for this, especially in times when I need to be very careful in using my saving. But for the boys who colored and gave sweetest twist for my teenage life, was that too much to do? A second chance emerged. After 12 years of waiting with on-and-off modes of hopes, I did not waste this most expected moment. All of their pictures could have been taken down from the walls of my bedroom. Glee casts, Katy Perry, and Lady Gaga might become new idols. Boybands era could be over. People may underestimate the boys’ capabilities and give critics to my low music taste. 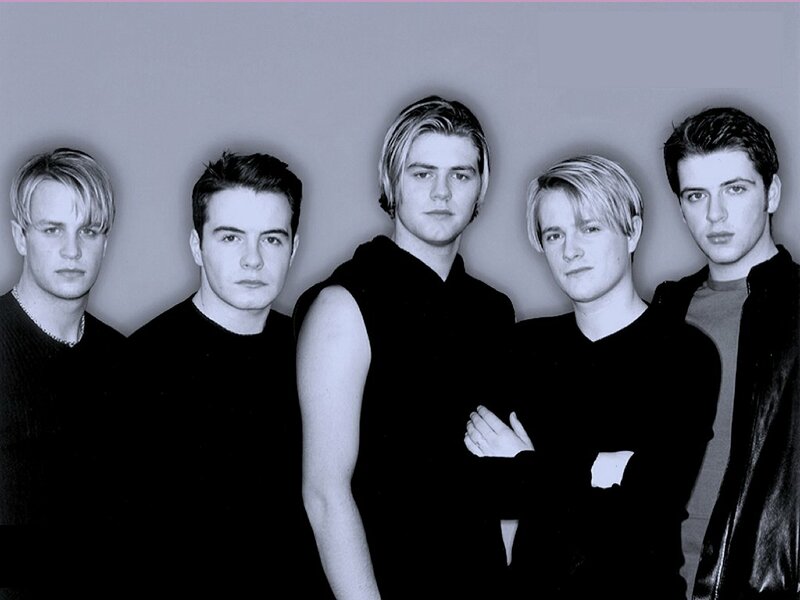 But Westlife is and will always be in my heart. I can hum the lyrics, sing, and even dance with their music. They make me happy. To them, I owe so much for bridging a truest love toward English language, which brings me to where I am now. And to God, I thank to You because You make them exist.